Summit of the Americas – Peace between US and Cuba ? This seventh Summit of the Americas did indeed leave its trade. For the first time in more than fifty years, Cuba’s representative, Raúl Castro, attended the conference. Enrique Peña Nieto, Mexico’s president, was also present, from the inauguration until the end of the Summit conference. Although Mexico not the dominant or most remembered participant in the conversation, the president did ask the countries taking part in the Summit, and encouraged future exchanges as he remarked that dialog is an important part when exchanging important matters with another countries. He did also express his gratefulness in front of all 35 members present, and especially made clear that it was very brave for both Barack Obama and Raul Castro to take part in the Summit, representing two countries which were enemies for so long. Mexico’s president additionally articulated his condolences and support regarding the process towards peace Colombia is currently putting into place, and asked for the international support towards this country and this matter. He also expressed his regards towards Chile’s representative, because of the recent natural disasters that have taken place in the country over the last few months. The main theme of this year’s Summit was equality and justice, and Enrique Peña Nieto insisted that exclusion is not a solution: if countries what to begin peaceful relations, have better exchanges of all kind, and make lasting international relations, economic growth must be inclusive. Mexico itself did not ask anything for its own development, but attended a reunion which will help the countries that need it the most. 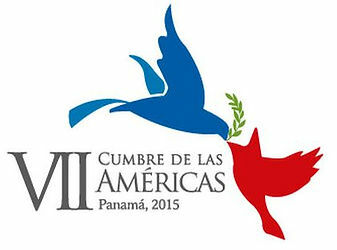 In April 2015 we have the Seventh Summit of the Americas in the capital of Panama. This event is very important for the diplomacy the South, Central and north American continents. Here in Brazil what was most talked about was the approximation between Cuba and the USA, being that Brazil and Panama had the role to bring both presidents together. The Brazilian president Dilma Rousseff talked about government corruption, and how it was bad for the American countries and it should be stopped. She also met privately with some of the presidents, including Obama and the Mexican president Enrique Peña Nieto. Curiously, upon his request, she met with the founder of Facebook, Mark Zuckerberg. What we expect to get from this meeting is that all the 35 American countries can share and walk towards the same goal.